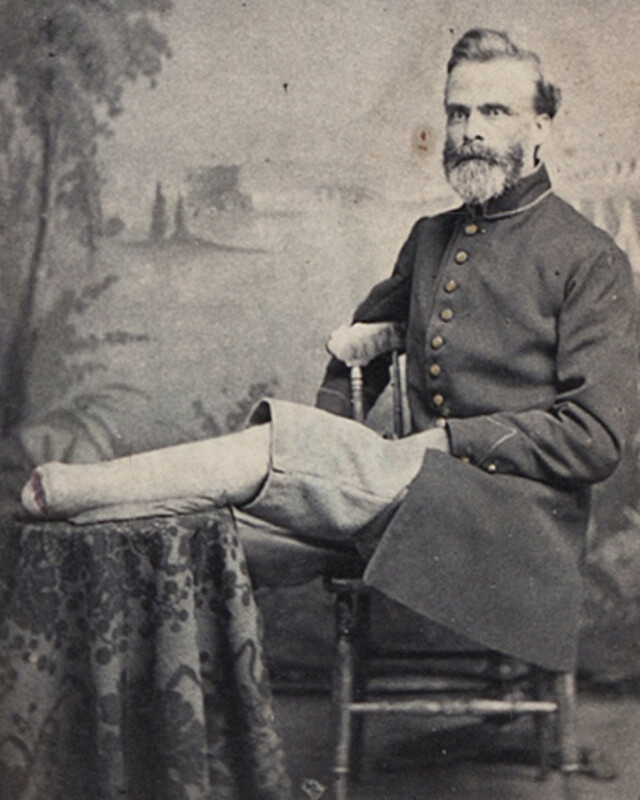 Augustine K. Russell had four children and a pregnant wife when he was drafted in July 1862 into Company H. He was paid a $100 bounty by the town of Andover plus an additional $10 from Smith and Dove. He left his family with his parents at the West Parish house (now 167 Lowell Street) where the extended family worked in a shoe manufacturing shop. Augustine convalesced at home and at the military hospital at Readville, Massachusetts. He was discharged on June 2, 1865, and the family added another daughter in 1868. In 1870, he was forced to undergo an additional amputation, but recovered enough to work again as a shoemaker and also serve as a State Representative. He died of old age – general debility – in 1904 at the age of 84.